OK, It’s been a while since I’ve posted a food blog, but I’m getting back into the world of blogging for fun, and I have a recipe that is exactly that – fun! It’s a pina colada recipe for breakfast, the best way to start off your day, whether you live in the tropics or not! Here’s my disclaimer- I don’t measure the ingredients as I put them in – this is a smoothie, so just make it how you like! This is just a suggestion! The best part is you cant taste the broccoli at all, and it only barely turns the drink green. Stick in a tiny umbrella and enjoy! 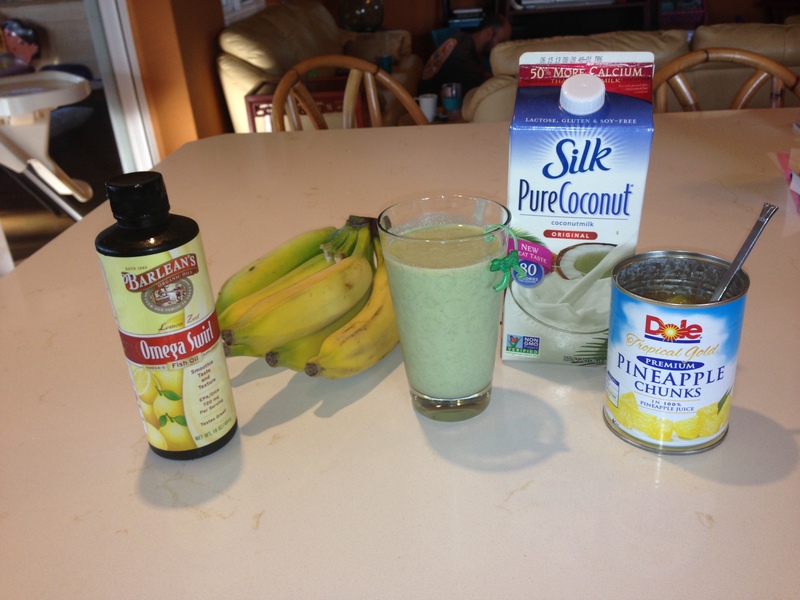 This entry was posted in Food and tagged Breakfast, coconut, drink, pineapple, smoothie. Bookmark the permalink.